Screecher Creature No. 1 had been going on about Tayto Park in Co. Meath for ages. 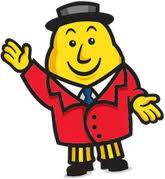 Ever since Mr. Tayto himself showed up on all of those billboards, in his pyjamas, smiling down and waving at everyone, it was all he could talk about. Tayto Park became “Crisp Land” in our house. Even the three year old was at it, although he hadn’t a clue what he was talking about. The day finally rolled round and on the spur of the moment, the announcement that we were going to Tayto Park was rapturously received at 7.30am. The time frame is important here, folks. Tayto Park is in Co. Meath, approximately an hour and 10 minutes as the crow flies from our house, so we had plenty of time to get ourselves organised and into the car. Opening time for the family park is 10am. We have four kids and a new puppy so in the wind up we were traffic marshalled into the already packed and very aptly named Cheese and Onion car park at midday. Just to be clear dogs are not allowed into the park, although we did enquire as the guilt’s at leaving poor Juno behind were awful. Right in front of us was a full and glorious techicolour view of one of the main attractions; the Zip Line Extreme. A massive and very impressive looking zip wire thingy that held the boys enthralled as we unpacked the car and loaded up the buggy. The entrance to the main park is only a short walk from the car and I was very impressed to see a more than adequate toilet facility conveniently located right in the car park to avoid the inevitable nuisance pit stops as soon as you get in to the main area. 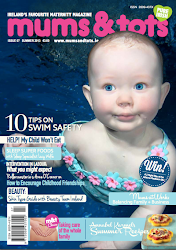 All visitors are €12 and children under 3 are free. Two adults and three children, will set you back €50. The same price as Dublin Zoo and Fota Wildlife Park in Co. Cork. There is a world of things to see and do at Tayto Park. At the insistence of Screecher Creature No. 1 our first port of call was “the Indian Village,” marked on your guide map as The Potatonhtus Native American Village. At midday, queues were already long and the boys spent a while in the first of 6 tepees listening to a story. We opted not to wait for complimentary balloon animals, to have faces painted or sparkly tattoos applied. But we did wait forty minutes or more to have a caricature of the boys done in another tepee. The first hour and a half gone, just like that. It was time for a coffee so I left Mister Husband and the boys to explore a sprawling and busy play area as I lined up for take-out refreshments in The Lodge Restaurant. It was a good opportunity to have a look around and see what our lunch options would have been had we not brought a picnic. Prices were not surprisingly a bit on the expensive side with a hot meal coming in at €11.35. But the helpings were generous and due to the large volumes of hungry patrons, hot, fresh food was being replaced very quickly which meant it wasn’t sitting there for long periods of time. Back to the boys with an espresso, a cappuccino and four fruit juices, we went on to the picnic area where we had our lunch. The park got very busy in the afternoon and even though it is a lot smaller than both Dublin Zoo and Fota Wildlife Park, small kids get tired walking around and we didn’t get a chance to see some of the areas. Queuing times for the Zip Line Extreme and the Tayto Sky walk were an hour and 15 minutes and an hour respectively. This also eats into a lot of your time there. Height and weight restrictions also apply to both of these attractions plus a €2 and €3 surcharge. Personally I would also be mindful of age here, for the Sky Walk at least. Our boys were too small for the zip wire and our eldest was tall enough for the Walk but still too young. He queued for an hour to be safety harnessed and climb up to what is essentially a massive climbing frame walkway made of ropes, high over the ground. Mister Husband was behind him all the way and both were tightly secured but our six and a half year old panicked and had to be helped back down almost immediately. It is quite high and extremely precarious when you’re up there. Lots of little people were getting upset and wanting off. Both of these activities are really only suitable for older kids and I would highly advise, given the waiting times, that you get to the park early, 10am, head straight for these attractions then spend the afternoon wandering about to look at everything else at your leisure. There is also a Tayto Crisp Factory Tour which is self-guided but we didn’t get a chance to do this. Nor did we see any of the complimentary live shows in the large marquees. But our boys probably wouldn’t appreciate either anyway. There is also an assortment of animals to be seen, ranging from the exotic to the farmyard variety. If you don’t mind watching a leopard pace up and down in a too small enclosure, you will enjoy these too. Although I am sure the leopard was just there temporarily. We thoroughly enjoyed the day and of course the complimentary Tayto from the Tayto Truck in the car park on returning to your car. Big share bags too! It is a wonderful family day out and the most expensive part for us was the entrance fee plus the family rate of €40 for the boys’ caricature. The drinks in the Lodge Restaurant cost €9.95. There is a gift shop but we managed to avoid that. Although I loved the Tayto t-shirts. Another attraction that appealed to me immensely is the Teahouse in the Tree House which is exactly as it implies but impossible to get to with a buggy. I would definitely go back there but personally I would prefer to do it when the boys are a bit older. Less messing with a buggy and a tired three year old to boot. But don’t take my word for it. Check it out for yourself. Just be there for 10am and bring a picnic!